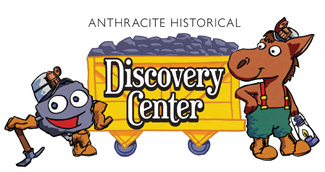 The Anthracite Historical Discovery Center is an educational organization located at the site of the first underground anthracite mine in America. The non-profit organization’s goal is to share the history of the Lackawanna Valley. The logo here was developed for the Center to incorporate their mascots (Coalie and Muley) into a design oriented towards children.